Facebook today announced a host of new camera features for its Messenger app. 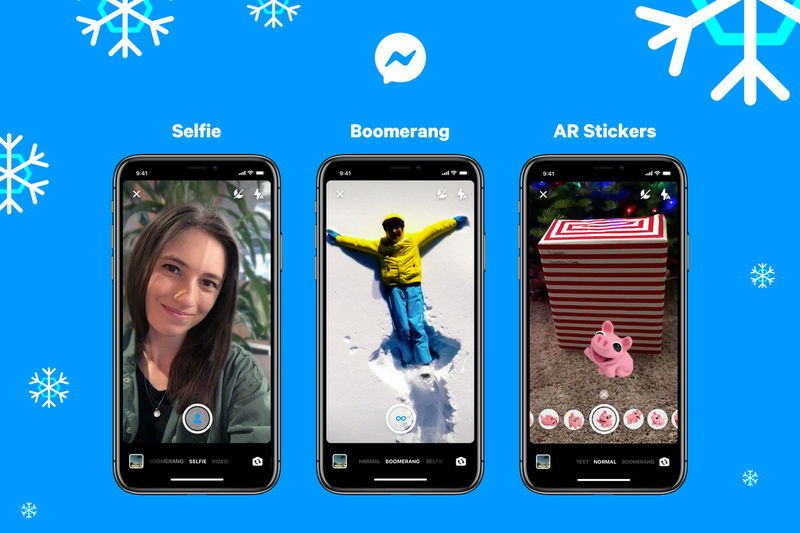 As well as native support for looping Boomerang videos, there’s also a Selfie mode that automatically blurs out the background, and an augmented reality feature that lets you place Messenger’s stickers in your photos and videos. These new additions mean that Facebook Messenger now has five different camera modes — normal, video, text, boomerang, and selfie — just two months after Facebook announced a big Messenger redesign with a key emphasis on simplicity. At least they’re well integrated into the interface, on a neat scrolling bar at the bottom of the viewfinder. Messenger stickers can be taken directly out of chats and added to photographs. Although Facebook has offered augmented reality effects for a while now (either as selfie masks or world effects), AR stickers are an attempt to pair these effects with the same stickers that can currently be sent through standard text chats. By pressing the camera icon next to a sticker, you can now add that sticker as an augmented reality object. 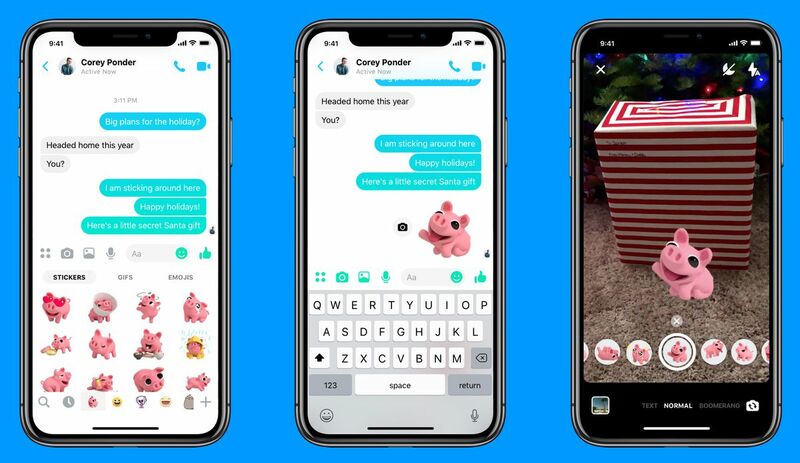 According to Facebook, Messenger’s new features will become available to a majority of users globally today, and will be available in both Messenger’s redesigned app and its older version.